In a process that started decades ago, a multiplicity of forces is creating a slow, but steadily rising storm against anonymity. Discourses of transparency and accountability often describe anonymity as a threat. Technologies such as the IP-address-based Internet, sensory devices, and machine learning techniques further undermine anonymous encounters. In an age of near ubiquitous surveillance, anonymity is under attack. But what is at stake in such discourses and developments? 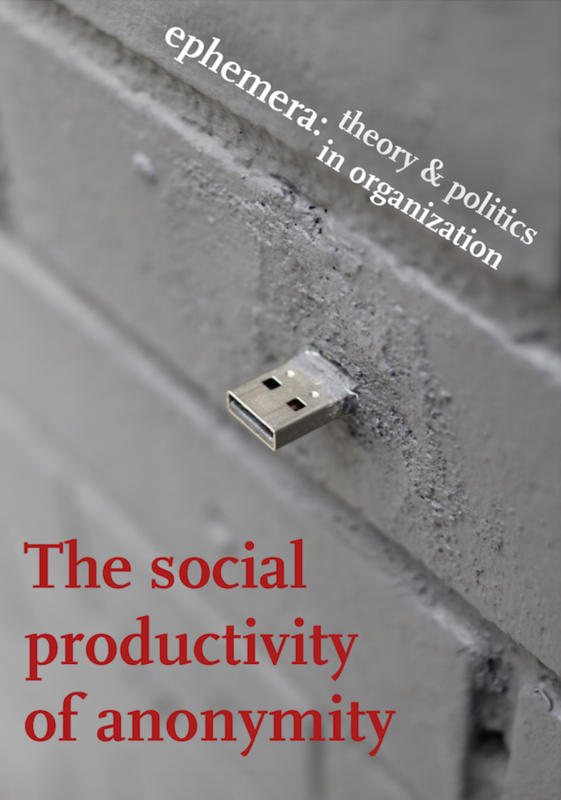 Based on the premise that anonymity is always socially productive and always socially produced, this special issue draws attention to anonymity as a social form that demands renewed attention. The contributions explore its temporalities, its transformative powers, and its entanglements with public spheres, property relations, and practices of person making. Crisis, critique and alternatives: Revolutionary politics as the lost substance of the left?